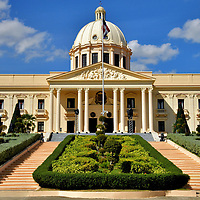 Dominican Republic has everything you want in an ideal tropical destination … from the oldest city in the Americas to ultra-modern, all-inclusive resorts. Follow the lead of Christopher Columbus by exploring this marvelous country in the Caribbean. You will be fascinated with every step you take in the first Spanish city of the Americas. Founded in 1496 by the brother of Christopher Columbus, the Ciudad Colonial section of Santo Domingo is filled with history from over 500 years ago. It has been designated as a UNESCO World Heritage Site in its entirety. 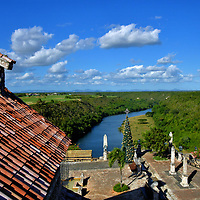 La Romana is located along the southern coast equal distance between Santo Domingo and Punta Cana. Among its numerous attractions are the best golf courses on the island, a replica of a 16th century village, flawless beaches, countless water activities plus all-inclusive resorts. 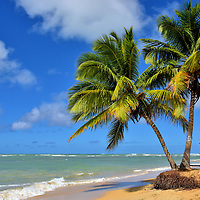 Over 20% of tourists traveling to the Caribbean select the Dominican Republic as their destination. Over half of them vacation in Punta Cana. Come enjoy exceptional weather, ocean coastline and resort hospitality. Then leave with a smile and lasting memory of a great time. 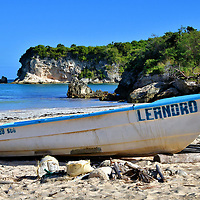 Samaná Peninsula is a tropical utopia along Dominican Republic’s northeast coast. The headland is blanketed with palm trees and encircled with flawless beaches. The towns are small, easygoing and welcoming. This is an exceptional Caribbean destination.